I live in Geneva, Switzerland and was desperate to find cheap foam board. I finally found some near the border in France. 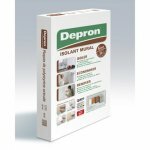 I thougt it might be useful for all people living in France: you can find 6mm Depron at Leroy-Merlin. I bought a 10 square meters pack for 52 euros , I have now no excuse not to scratch build FT planes! Now I'm looking for some cheap polyurethane-based Minwax-like stuff, since we don't find minwax here. Help anyone? You do not need any minwax as Depron do not have any paper. You will need some sort of tape for replacing the paper, at least at the score/fold lines, if you are building from Flitetest's plans. A lightweight colored packing tape makes a nice covering and helps make the plane stronger with little weight gain. Check out Experimental Airlines on YouTube for specifics. It is important to note that the Flite Test designs depend largely on the characteristics of papered foamboard. The paper adds significant stiffness which cannot be replaced with tape. Taping both sides of the foam will add some stiffness, but your planes will still be quite floppy. Many builders prefer to work with depron, but this technique practically requires the use of carbon fiber rods for stiffness. You can adapt the flight test plans to plain depron, but you are going to need some experience in building with both FT foamboard and straight depron to pull this off. 1. Head over to rcgroups.com and check out how people build planes with depron, and build from some of their plans. 2. Make your own foamboard. You can use white PVA glue (aka Elmer's glue) to glue paper to your foamboard. 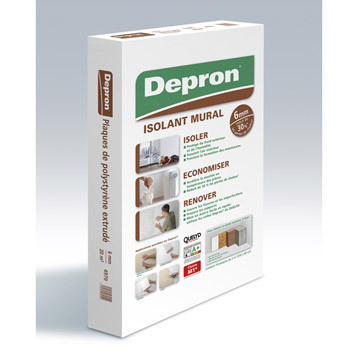 I believe that depron covered with tissue paper would actually be a superior material to Dollar Tree foam board. I don't think you've ever tried covering depron with tape under a bit of tension, R4K. It gets surprisingly rigid. Give it a go! I built my Bloody wonder with de-papered foamboard and tape only, no bracing. Lighter and plenty strong. And that was tape on one side only! The FT builds have been built and do fine with just depron and tape, in part due to the design and also due to depron/tape being lighter than DTFB. Less weight is less strain to high stress areas. Tissue paper is a more reasonable, lightweight substitute to the colored packing tape but much more time consuming. Also, keep in mind that the colored packing tape is much thinner than the standard clear tape by almost half. If you can only get clear, I would use it only on bends or folds, and possibly a strip top and bottom spanwise for rigidity on the wing. First few planes ended shall we say badly haha. Kf steps make strong wings and you can use depron spars. My wings are pretty solid, i use a flat depron sheet and a depron spar, then i cut a slightly wider top sheet and bend it to an aerofoil over the shorter sheet and glue. I can't speak to the Tape Brother's colored tape directly, as I have never used it, but according to the specs, it is 2.1 mil, which isn't all that much thinner than the 2.6 mil clear stuff I have been using. The 2.6 mill stuff is almost exactly the same weight as paper, and I don't expect the 2.1 mil stuff to be all that much lighter, so it is pretty much a null sum situation to replace the paper with either. Adding the tape is a huge improvement over bare foam, and in many ways tape over bare foam is an improvement over paper, but even tensioned it is not as stiff as paper. Depending on the model, this may or may not be important. For smaller models where you don't have much of a span, it is not a big deal. A 60" simple soarer wing is a completely different story altogether. The stuff I use I found on the Ebay and is just under 2 mil. It's noticeably thinner in both weight and feel than the normal thickness clear packing tape, which if memory serves, is somewhere in the 2.7-3.0 mil range. I'm not sure why there's so much of a difference from yours, but the tape I use is much lighter than the paper it replaces when I do strip my foamboard. But since the people across the pond don't have the option of getting foamboard locally, tape or tissue covered depron is a very reasonable substitute to get them flying. I think tape direction also plays a role in the strength it adds so a little building experience, or at the very least, a basic understanding of the directions stresses on the airframe are applied, should help in tape application. I'm sorry if it sounded like I was bashing you, R4K. That was far from my intention, brother. Only trying to help out a fellow flyer with nothing but depron available. Any chance you can post a link to your eBay seller and some actual numbers on weight? The direction you apply the tape does make a difference, since you can only apply it under tension in one direction. For extreme weight savings, I have been using Dollar Tree cellophane floral wrap. This can be shrunk with a hot air gun, but doing this without warping your foam is non-trivial. I've gone back and forth on application methods, but Spray 77 seems best. I believe the cellophane is sold as "floral wrap" so I would imagine it would be available in any part of the world where flower arrangements are made. What I was really looking for was a grams per square inch figure on the tape alone, because I'm going to be really surprised if it is any more than 23-28% lighter than the 2.6 mil tape I am using now. I didn't think about stiffness since I've never scratch built a plane. I guess I'll try reinforce it with paper and tape and see which works best for me. If you have any idea where to buy cheap large tape, please let me know! Everything is quite expensive in Switzerland and buying online is often a good solution. R4K, what do you mean exactly by "tissue paper" ? 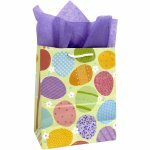 There are many different types of tissue paper, but it generally refers to a thin, lightweight paper. Low-grade tissue paper is used as a packing material for fine objects and is quite cheap. A high-grade "japanese tissue" is what was used to covert balsa models before the advent of synthetic materials and can be rather expensive. The paper on Dollar Tree foam actually accounts for a full half of it's weight. My reason for replacing the original paper with tissue is to reduce weight while maintaining stiffness. Although the tissue is not as strong as the factory paper, it does not suffer from the de-bonding issues. And finally, tissue paper is also available in colors, thus eliminating the need for paint. This tissue paper thing seems quite interesting. Do you have any brands or ebay links were I can get some? Or maybe do you know the french word for it? My suggestion would be to check a crafting store. Tissue paper is often used in floral arrangements, so if you have a florist nearby, they will probably just give you some. It's also sometimes used as a filler in gift bags. Ok I see. We call it "papier de soie" in french I think. I guess I can get some at my local hardware store. Is it really better than plastified covering? In engineering, better is rarely used as a blanket term. There are almost always tradeoffs. I suggested tissue paper because it seems most suitable for the Flite Test build style. You could use any paper, really, but a thicker paper is going to soak up more adhesive adding additional weight, but weight is your number one enemy when building planes. There are many different construction styles in the foam genre. Each construction style often lends itself to a particular style of plane design. Mixing one plane design with another construction technique often leads to problems. With some experience you can generally adapt, but the trick is gaining experience. You should definitely try both (as well as naked foam and CF rods) and see which style works best for you. Personally, I started with the Experimental Airlines style, which is tape over paper over FT foam. There is a lot to be said for this technique, but it can lead to some pretty heavy planes. R4K is right. The thing I would suggest is to try the Experimental Airlines style to start with. It's easy and fast to do since there is no drying time. Find the thinnest ~50mm wide packing tape you can, colored if you can find some. Doing it straight over depron with no paper on it will work fine for the smaller models; FT Flyer, Nutball, Delta, Bloody Wonder, etc. If you are planning on doing the Simple Soarer, you will probably want some reinforcement like arrow shafts in the wing for added strength. It may not be strictly necessary but if you are a new pilot, occasional over-controlling can stress an airframe beyond design limits and fold the wings. by the way what is the foam board's thickness on FT plans?